Thank goodness I can still retreat to a good book. 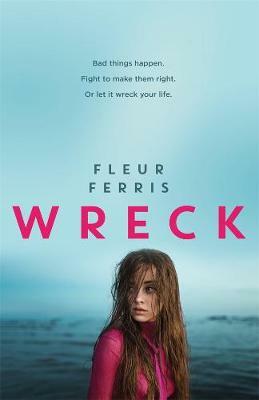 WRECK is Fleur Ferris’s third book – her debut title RISK was one of the hottest things on the OzYA school library circuit and made background-scenery guest appearances on Home & Away, and her second book BLACK garnered international attention too. Fleur lives on a farm in the Mallee area, and writes around the requirements of farming and householding, which makes me admire her even more, plus she’s got some amazing history: she used to be a police officer and a paramedic, so she really knows her stuff. As a former cop, Fleur is well-placed to write a crime thriller, and I think you’ll find that WRECK doesn’t disappoint. The action is strong in this one, ObiWan, and Tamara is a bit of an older protagonist, so things get very stressful very early on. The dual POV is going to keep you guessing – which side of the story do you want to believe? – and there’s plenty of authentic detail to bind the story. You can find WRECK at Boomerang Books, and if you use the ‘loveoz’ code you’ll get free delivery. Join the conversation about the book here in comments, or on the #LoveOzYAbookclub Facebook page. I’ll let you know later in the month when will Fleur drop around to tell us more about WRECK, and her writing life. This is our second-to-last book for the year; we usually have one more book in December that rolls over into discussion in late January. I hope you’re all revved up for the year’s finale, and I hope you enjoy WRECK!